When it comes to building your Outdoor Living areas, Outdoor Kitchens are undeniably one of the most popular items that are included. using the new Isokern Panels and Clips from earthcore, it is simply a matter of coming up with a design, purchasing the correct number of components and assembling on site. 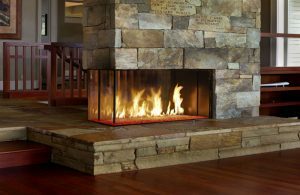 Just like with our Isokern Outdoor Fireplaces, the Isokern Panels can be customized and can be finished any way the homeowner desires whether it be brick, stone, stucco, tile or veneers. By using the Isokern Panels and Clips, you can install your new Outdoor Kitchen components in less than a day! Each panel weighs approximately 100 pounds and measures 2 feet x 34 inches x 3 inches. Be sure to visit our Facebook pages for photos of outdoor kitchens assembled with the Isokern Panels/Clips. Pre-packaged Isokern Kitchen sets are coming soon.